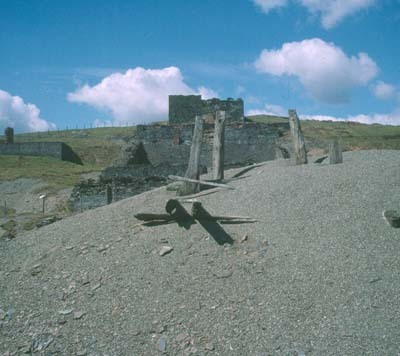 This Cadw-funded project follows the publication of the Environment Agency's (EA's) Metal Mines Strategy for Wales in January 2002. This report included a "priority list" of 50 non-ferrous metal mines across Wales that are perceived to be contributing to environmental pollution and affecting water quality. Of these sites, 42 are located within the three counties of southwest Wales and 38 are within Ceredigion. The EA's intention was to consult widely prior to the design of remedial schemes for these sites. The project also builds on from the more extensive Ceredigion Metal Mines Survey undertaken by Robert Protheroe-Jones in 1993. This earlier survey involved the analysis of available information for over 200 non-ferrous metal mines in the Ceredigion ore-field, accompanied by the rapid field survey of the more significant mine sites. It produced an archive of site notes and annotated 1:10560 OS maps, general historical mining data and a detailed bibliography relevant to metal mining in Ceredigion and allowed an almost complete record of metal mining sites in Ceredigion to be entered into the HER database. However, the detail of the project was maintained as a paper record only and the mine boundaries were only recorded on the HER's paper record map base. Digital mapping was not available at that time. The objective of the current project was to enhance our knowledge of the metal mines that appeared on the EA's priority list for remedial work and to make scheduling recommendations to Cadw. Of the 42 sites in southwest Wales, 29 mines were identified as requiring further appraisal and these were visited during the course of 2002. An interim report was prepared following the site visits.